The first front-wheel drive Le Mans contender. 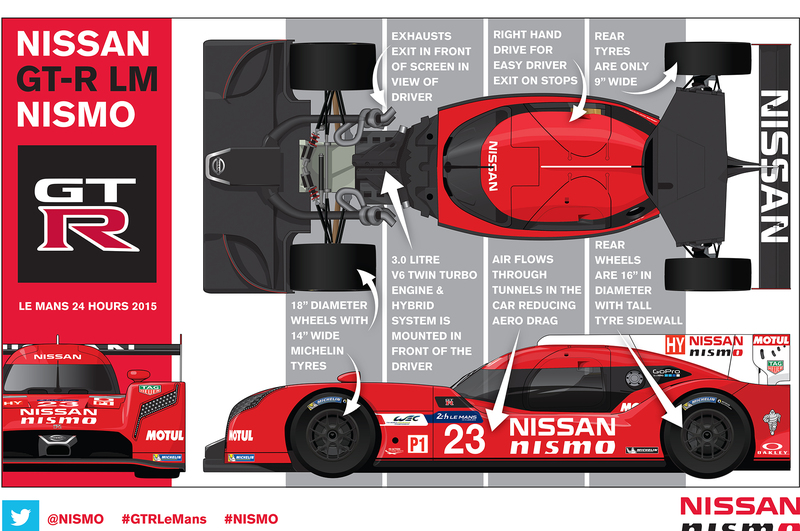 Nissan released the official technical details of their new radical GT-R LM Nismo Le Mans contender, revealing powertrain and chassis details. 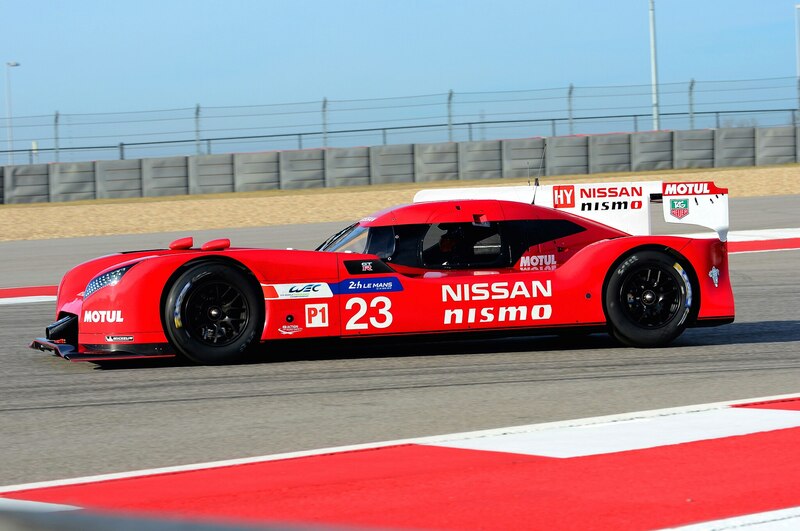 As we have known for a while now, the Nissan GT-R LM Nismo is uniquely front-wheel drive, powered by a twin-turbo 3.0-liter engine. 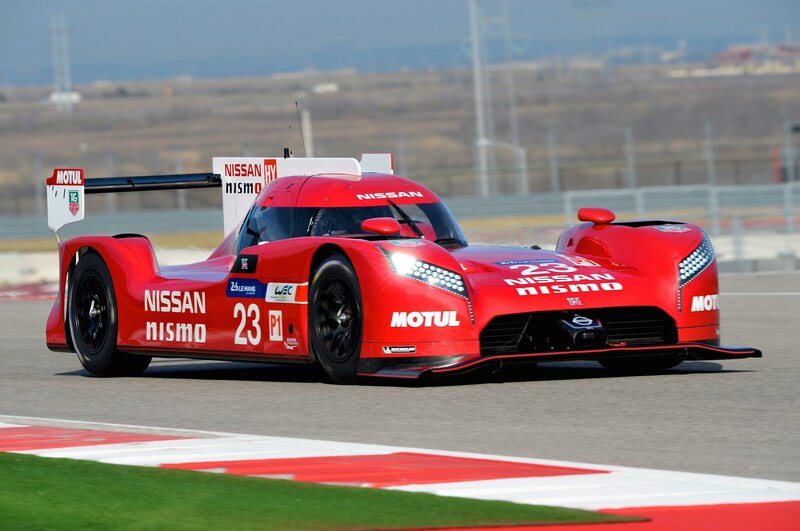 The GT-R LM Nismo will be the first serious top-tier Le Mans entrant the storied endurance race has ever had, with most modern Le Mans Prototypes (LMP) having a mid-engine, rear-wheel drive layout for maximum traction and chassis balance. The LM specifications reveal interesting tidbits about the front-wheel drive oddity, including the new right-hand drive configuration. According to Nissan, this is to facilitate quick entry and exits for pit stops. 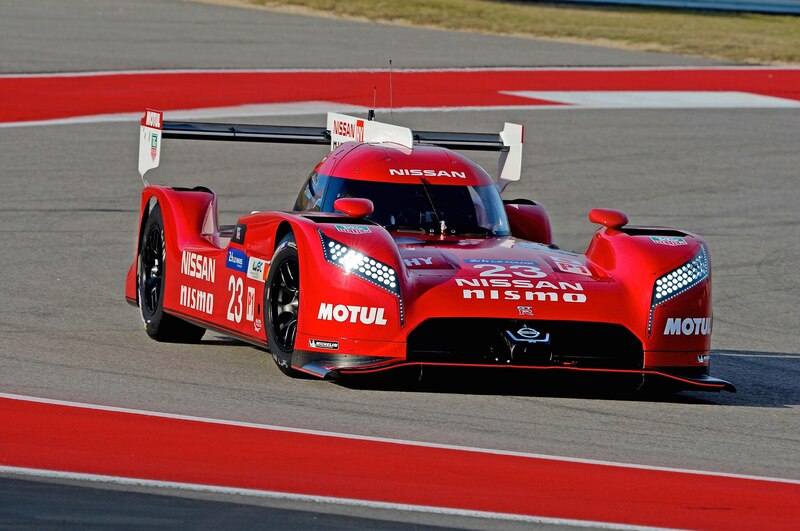 Being front-wheel drive, the LM uses 14-inch wide tires in the front, with skinnier 9-inch wide tires on the rear. Most of the technical specifications, however, are right in line with the FIA rules, including the 1,918 lb weight and safety restraint systems. 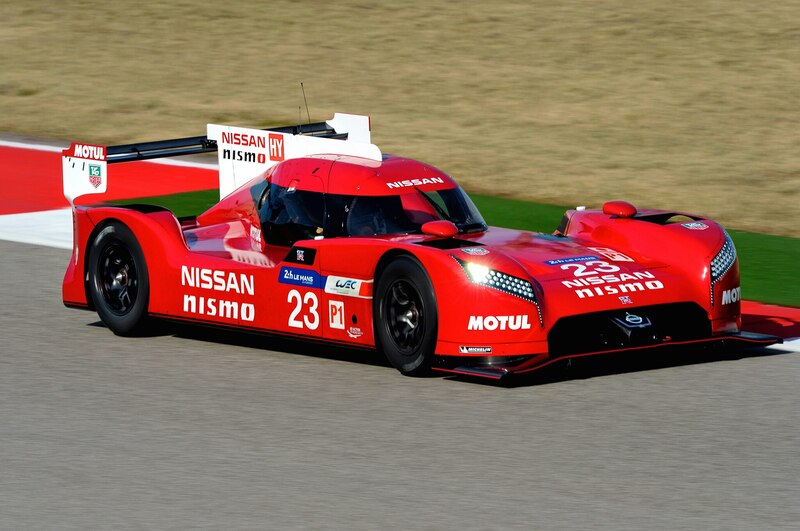 Previously, we learned the GT-R LM Nismo is front-wheel drive for the sake of efficiency and aerodynamics, with the whole front of the LMP sleek and flat to maximize frontal downforce. The LM employs a trick traction control system to combat the ugly onset of understeer in the corners. 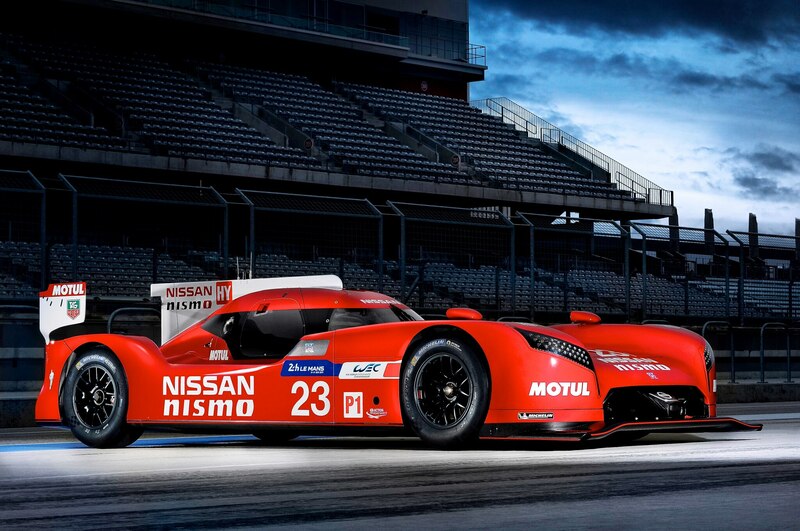 Take a look at the technical details of the new Nissan GT-R LM Nismo in the gallery below.